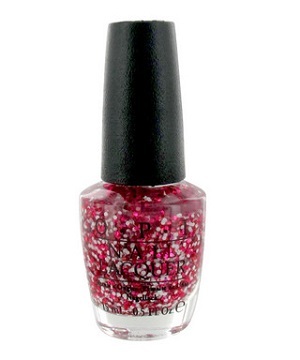 OPI Nail Polish, Minnie Style, NLM57, .50 fl. oz. Red metallic and white medium hex glitter in a clear base. OPI Couture de Minnie Collection.